Rights Information and Advocacy Centre (RIAC) invites applications for the position of CEO from individuals with a strategic and innovative leadership approach to deliver on our commitments and contribute to improving the lives of people with disabilities. 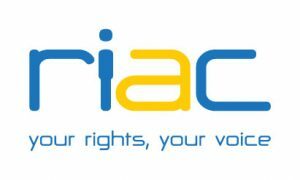 RIAC has been serving the community of Victoria for 34 years providing both individual and systemic advocacy for people with a disability, their families and carers. With both State and Commonwealth funding, RIAC’s geographical reach extends between Geelong, Central, Northern and North-Western Victoria. Our offices are located in Shepparton, Bendigo, Horsham, Mildura and Geelong. There is considerable flexibility as to the CEO’s work location however regular travel within the regions serviced by RIAC will be required as well as considerable travel to Melbourne. As the CEO, you will work in partnership with a Board of Directors and have a key role in strengthening the voice of people with disabilities and influencing government policies and procedures with a particular focus on the review and appeal of National Disability Insurance Scheme administrative decisions. Amongst our programs are partnerships with Aboriginal and Torres Strait Islander communities aimed at ensuring their access to National Disability Insurance Scheme funding. A capacity to work collaboratively with government departments, to form partnerships within the disability sector and represent the community we serve will be essential. A record of achievement in the community sector is desirable along with a contemporary management style and a sense of humour. A salary package including access to professional development programs, salary packaging and the full use of a motor vehicle will be negotiated. Your curriculum vitae, a cover letter and your statement of claims against each selection criteria should be submitted to the Quality Manager at geelong@riac.org.au by no later than 4pm Thursday 4th October, 2018. For further enquiries or a copy of the position description and key selection criteria please contact the email above or call Leah Kateiva on 0438 320 082.